She is technically not a new painting, however is one that has been waiting in the studio unseen for quite some time. On November 18th Bright Cloves will make her debut public appearance. She’s a tad nervous, so any encouragement you could give would be greatly appreciated. 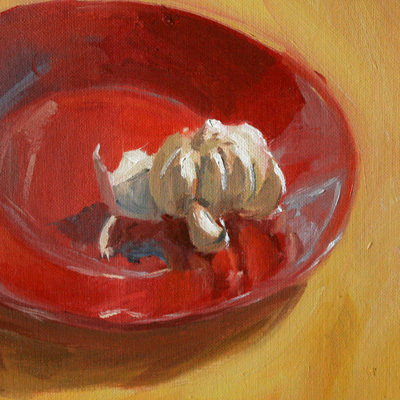 This entry was posted in Paintings and tagged food, galleries. Bookmark the permalink. ← Living Out My Dreams. . .
Aw, you’re very sweet. I can’t wait until they are all framed up and ready to go – my favorite part.